Vaidya Shri Balaji Tambe is a spiritual Master, healer and an Ayurvedic doctor. Through the years in which Shri Balaji Tambe has been conducting meditation sessions and offering health guidance, the music has emerged as an expression of his inner self. He has done extensive research on music as a healing medium. 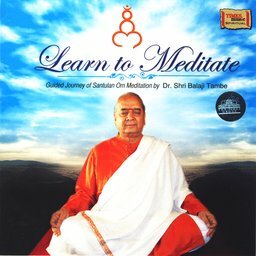 Santulan OM Meditation (SOM) and Santulan Kriya Yog (SKY) has been developed by Shri Balaji Tambe based on Shrimad Bhagavad Geeta and on traditional knowledge.